A great tote to hold all you "stuff" to bring to class! Tote has 3 outside pockets that will hold your rulers and rotary cutter with ease while the tote itself is large enough for your 18 1/2" x 24 1/2" mat. 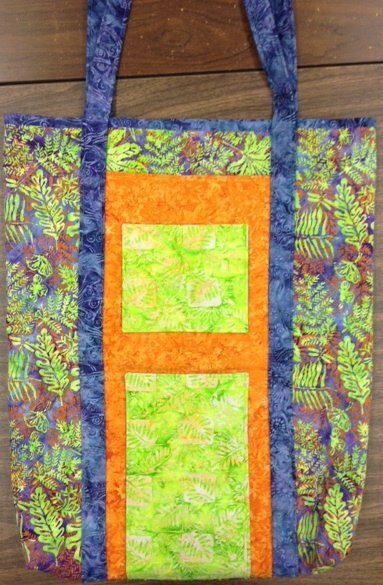 Simply quilted, it's a perfect project for Beginning Quilting graduates. Pattern will be given at class time but please be sure to pick up the supply list and cutting instructions before class. Please get supply list in advance of class.